Act justly, love kindness, walk humbly. Rescuing the Hebrew Covenant one blog post at a time. “...in some sense if you don't live in Israel - I don't live in Israel - you're morally obliged to be nearly silent, nearly silent." It was the final episode. After four Sunday nights of television and three thousand years of Jewish history, here was the telling of the modern State of Israel. Simon Schama had entitled it: 'Return'. After all I had read beforehand about Schama's promise that the last part of his 'Story of he Jews' would make "the moral case for Israel", this final episode was a great deal more nuanced, considered and reflective than I had dared to hope for. Schama gave an appropriately agonised and conflicted portrayal of Zionism, both in its theory and its practice. It was light years away from the previous popular Jewish histories that I'd been re-reading over the summer as homework in preparation for what the BBC had billed as a highlight of the television year. Books by Cecil Roth and Max Dimont, which I'd first read as Bar Mitzvah presents in 1979, had been written in the 1940s and 1960s. They now looked badly marred by self-serving colonial views of Arab culture and suffered from a highly biased portrayal of the Jewish 'return' to Palestine from the 1880s onward. Paul Johnson's 'History of the Jews', published in the mid 1980s, stood up better to my 2013 scrutiny than either Roth or Dimont. But Johnson had just missed the start of the new wave of Jewish Israeli and Palestinian history writing that has since set the record straight and challenged the traditional narrative of brave, virtuous, morally entitled Jews – Versus – cowardly, intransigent, hate-filled Arabs. So a new popular history of the Jews was well over due if only to update the last 120 years. Thankfully, Schama had taken a great deal of the new thinking on board (even if the mainstream Jewish establishment and most Western political leaders are still struggling to catch up). In telling the story before 1948, Schama gave time not only for the big names in Zionist history, such as Chaim Weizmann, Ze'ev Jabotinsky and David Ben-Gurion, but also for the philosopher, Martin Buber, a hero of this blog. Schama described Buber as the most "thoughtfully tortured" of the Zionist idealists. Buber, he told viewers, knew that Zionism should not be "mostly about matters of power". For Buber, explained Schama, “if Zionism merely ended up reproducing the power play of the rest of the world, all of its achievements would be merely self-defeating”. Buber's fundamental test for Zionism would always be how it treated the Arabs of Palestine. It was a relief that Schama didn't try to duck acknowledgement of the Nakba of 1947-8 and the displacement of 700,000 Palestinians from their homes as the State of Israel came into being. He wasn't as clear as he might have been about how all this took place on the ground and he went on to look for a 'balance of suffering' by citing the Jewish refugees that had to flee their Arab homes in the aftermath of Israel's establishment. But this was opening the doors to a period of history that is still widely unknown or just deliberately ignored in Jewish circles. Schama did confront the Socialist Kibbutznik about the abandoned Palestinian village that his home was built on top of. He did dismiss the smiling and engaging West Bank Settler who based Jewish entitlement entirely on scripture. He did show the daily ordeal of Palestinians crossing the West Bank checkpoints like so much cattle at a market. He did speak to the Israeli Jewish author David Grossman (a philosophical descendent of Buber) about the dangers of the Jewish spiritual imagination and its attachment to the biblical Land of Israel. And then, in the closing minutes, Schama stood in front of the 18-metre high, grey, concrete slabs of the Separation Wall and wondered if this was Jabotinsky’s ‘Iron Wall’ against the Arabs come true. In another nod to Buber, he saw a Judaism that has had to "scurry for safety beneath the watch towers" during the last few decades of Israeli history. This was all a mightily refreshing approach to the subject matter and I hoped that the Board of Deputies of British Jews, the Jewish Leadership Council and the office of the Chief Rabbi would all be sending out the DVD as Hanukkah presents this year. "I want to say that nobody, including me, ultimately has the moral right to say that the Wall shouldn't have happened....in some sense if you don't live in Israel - I don't live in Israel - you're morally obliged to be nearly silent, nearly silent." And that's where Simon Schama and I, having got along so well up to this point, had to finally part company. Silence is not an option I can subscribe to any more. In fact, I can’t think of a more inappropriate response to the on-going Occupation, the blockade of Gaza, and the institutional discrimination against the Arab citizens of Israel. Schama’s context was that the Wall had stopped the wave of suicide bombings that had killed 500 Israeli citizens during the Second Palestinian Intifada a decade ago. He failed to mention the number of Palestinian civilians that were killed during the Israeli suppression of the uprising (the total number of civilian deaths was actually much greater than 500 for both Jews and Arabs during the period 2000-2005). You can read about the full casualty figures for both sides here. I’m not for a moment condoning suicide bombing, but the idea that the Wall alone has been the cure for this immoral tactic of resistance is thoroughly disputed. There’s certainly not a simple ‘cause and effect’ that justifies its building in the face of international law and the deprivations it has brought. So what sets Schama and me apart? How have we ended up expressing a shared concern for the Jewish future in such different ways? I suspect the answer has much to do with what distinguishes liberal Zionists, like Simon Schama, from 'Diaspora-Universalists' (or, if you insist, 'anti-Zionists') like me. I believe it is Schama's attachment to Zionism that leaves him unable to articulate what has gone wrong in Israel and that causes him to take a vow of silence and then call it morality. For Schama, everything was basically okay before 1967. It has been the Occupation of the West Bank and the building of Jewish Settlements that has undermined what had been a ethical endeavour until that point. Schama sees Zionism as a movement born out of existential necessity, caused by the failure of the European nation states to integrate Jews, as Jews, into their societies. There is no question that the European Jewish story, through to the mid 20th-century, ends in an unparalleled tragedy, not just for the Jews but for European civilisation, and neither the Jews nor Europe will ever fully recover from it. But even this cataclysm does not provide the proof that Zionism was the only way forward for the Jewish people. Zionists (even American ones) appear to forget that while Europe in the 19th-century was full of setbacks and false dawns for Jewish emancipation, a whole different story was emerging on the other side of the Atlantic. Schama described this himself in episode four: 'Over the Rainbow'. The American story surely contradicts the central premiss of Zionism that successful Jewish integration, on Jewish terms, is impossible. In fact, doesn't Simon Schama's own life and his successful UK/US academic career prove that progress is possible without the retreat to narrow nationalism. For me, who wants to champion the Jewish Diaspora experience despite all of its many highs and terrible lows, Zionism has been a failed response to anti-Semitism. It has led us down an ethical and spiritual cul-de-sac that leaves us silent when faced with our own wilful displacement and slow destruction of another people. Zionism has created a whole new set of problems without resolving any of the issues it set out to address. How could we hope to deal with the on-going discrimination and persecution of the Jews by resorting to the same ethnic, nationalist and colonialist thinking of Europe that was feeding the growth of anti-Semitism on the continent in the first place? What's made the situation even more difficult to deal with is that Zionism succeeded in wrapping itself around Judaism's traditional messianic longing for the end of Exile. It was a sleight of hand that was challenged at Zionism's inception and needs challenging again today. Zionism does not, and never did, equal Judaism. There is a Jewish State of Israel and now we need to find a path to justice, peace and security for Jews and Palestinians on which ever side of the Separation Wall they live. Staying silent though is not the way to get there. 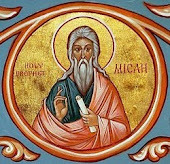 The rabbis tell us, through a Midrashic legend, that as the Children of Israel stood at the foot of Mount Sinai, all the Jews were there to see and hear Moses come down from the mountain top with God's Law. This was the moment when tradition says we received the words that would forever guide us to a just and faith-filled way of life. And every Jew was there. Not just the slaves on the run from Pharaoh, but every Jew that has ever been born, and all those yet to be born. That's a deeply affecting idea and once heard it seeps into the Jewish soul. And the message from the mountain top is what gave us the strength and adaptability to survive, scattered across the globe, when other kingdoms rose and fell and other civilisations came and went. We are a people with a shared faith, a shared heritage and a shared history that binds us together and creates a powerful feeling of being mutually accountable and mutually responsible to each other. When it comes to the Jewish story, we are all in it together. For me, that does not mean you stay silent when you see your brother or sister making terrible mistakes. When it has become abundantly clear that Martin Buber’s worst fears for the revival of a Jewish homeland have come to pass, then it is time to step up and speak out. Not remain silent. But Diaspora Jews have abdicated their familial responsibility. We allow Israel to speak in our name and keep our disquiet to ourselves. Or perhaps we simply close our eyes, preferring to slumber in a state of denial about the reality of Israeli power. I have no doubt that the creation of the State of Israel is not the natural conclusion of Jewish history. It is certainly not our redemptive pinnacle, a miraculous 'Return' or a post Holocaust 'Resurrection'. How can it be when it has achieved neither the normalcy nor the safety that its ideological founders had hoped for? How can it be when it has turned us from a David into a Goliath in the space of a single generation? At this moment in Jewish history, "silence, or nearly silence", is not what is called for. Instead we should be remembering what we all heard at the foot of the mountain in that first period of enlightenment and wandering. The mission we were given was to build the just society by treating others as we would wish to be treated. The rest is commentary! So, rather than agonising in front of the Separation Wall and mourning a version of 'benign Zionism' that never really existed, we should be shouting from the synagogue rooftops for justice for the Palestinians in the name of Judaism and demonstrating with Jewish menorahs on flags outside of the Israeli Embassy. Or failing that, start a blog. I hope that in another 100 years we will be able to look back and see how a revitalised Jewish future began to take shape in the early 21st-century as Jews worldwide started to reconnect to their most long-lasting and resilient of values. As Simon Schama said at the close of the final programme:"The chapter is written but the book is not finished." This silence thing is the most frustrating factor in the whole business. We are told that Israel( the State of ) is the national home of the Jewish people and at the same time that we have to be silent, unless expressing unqualiified support for it's policies, in respect of it. I and others have spent most of this very day seeking to unravel it's latest insincere dealings with the Methodist Church, thankfully with a measure of success. If there is to be a Kairos or Buber moment among British Jews it will be in spite of and not because of those that self style themselves as " the leadership ". Agree with just about everything you said, which echoes my own thoughts on Schama's programmes. Agree with almost everything you said, which echoes my own thoughts on Schama's programmes. I hope Schama reads it and enters a dialogue - he's on twitter as @simon_schama if you want to tweet him. The truth is that Zionism welcomed antisemitism as a form of recruiting ideology for its own cause. Zionists also viewed assimilated Jews as of no value to them, which is why they did nothing for Jews in Europe in the 1940s. Sharma does not understand that Zionism was always an extremist ideology, which developed in response to other forms of extremist nationalism in Europe. I share your “diaspora-universalism”, but where you see an “appropriately agonised and conflicted portrayal” I see toe-curling hypocrisy. What good is it to own up to the Nakba if you don't acknowledge it to be the deliberate culmination of Zionist strategy? What good is it to mention inter-war Arab protests if you don't explain the dispossessions and the “struggle for Jewish labour” that prompted them? Schama's bogus distinction between an idealized “Zionism of necessity” and a more brutal contemporary successor is nauseating. The whole series was a travesty. It was embarrassing to see Schama trot out the largely discredited story of Herzl's fateful change of heart while covering the Dreyfus affair (I imbibed that one at Hebrew school). More seriously, by a) asserting the historicity of even part of the Bible story and b) failing to raise the issue of the spread of Judaism through proselytism he conveniently maintains the Zionist myth of the ancestral homeland. And his falsifications in support of the racist mantra that Jews and non-Jews couldn't live side by side in modern Europe are unforgivable. How dare he ignore the heroic, finally victorious efforts of the Dreyfusards to uphold the principles of French republicanism? How dare he allege that non-Jewish Russian revolutionaries failed to come to the aid of Jewish victims of the 1905 pogroms? Or ignore the extraordinary upturn in (secular) Jewish fortunes and flowering of Yiddish culture in the early Soviet Union? This is propaganda, not history. It was neither history nor propaganda. It was a story. In fact the originally planned title was " The History of the Jews ". Obviously the editors and/or the writer/ presenter thought better of it. Like any story of length there is bound to be some urban ( or rural ) legends wrapped up in it somewhere. I found it helpful albeit very emotive. But emotions are facts too. It's no use throwing a cuddly postmodernist blanket over the issues. Schama is a professional historian. That is the reason he is on TV. He deserves to be judged by the standards of his profession - which include analyzing, not parroting, urban myth. He is also an apologist for Zionism and must be held to account for obscuring that movement's crimes. Cuddly ? Kenny I know where you are coming from, I have been there. However, when you have spent half a year in the Jordan Valley, 10 hours a day under a blazing sun making mud bricks to help rebuild demolished structures and all that, you lose a bit of your enthusiasm for history. Further you get impatient and a bit bored with hearing about conflicting narratives and come to feel that the issue is not narratives but a state of affairs. I am not a Jew; I am not British. It seems to me that intellectuals like to get so wrapped up in trying to prove how insightful they are that they fail to acknowledge plain historical fact. Zionism would never have been created were it not for the historical prejudice and never-ending persecution of Jews in Europe throughout the centuries, culminating with the Holocaust. For example, I visited Germany several years ago as a tourist. It seemed that in every community I visited I would spot a plaque commemorating some slaughter of Jews at one time or another; and these occurred centuries before Hitler was born. And I just love the claim by Kenny Fryde (in an attempt to discredit the need for Zionism) about "...the extraordinary upturn in (secular) Jewish fortunes and flowering of Yiddish culture in the early Soviet Union" (as if any culture has ever flourished under communism; just ask the Tibetans). Notice the word - 'secular'- in parentheses? Communists under Stalin had no tolerance for the religious part of Yiddish culture. However, Isn't the Jewish religion a rather important component of Yiddish culture? So, the "flowering" only went as far as the bloody, murderous, intolerant, atheistic communists allowed it to go. If I had been a Jew back then (especially a Jew in Eastern Europe where the vast majority of Europe's Jews lived), I would surely have been a Zionist. Perhaps there were European countries where Jews were grudgingly tolerated (like early 20th century Poland). Nevertheless, Jews always had to live under the very real possibility that at any moment the hammer would fall and some political leader would foment another round of anti-Semitism that would shatter the illusion that Jews had successfully integrated into a country's culture. In fact, if there were a country where the Holocaust was less likely to have come into being in Europe, it had to have been Germany. First, the Jewish population of Germany never exceeded eight tenths of one percent of Germany's population. Second, German Jews were as fully integrated into German society as any Jews were in any European country. Third, Jews in Germany wanted nothing more than to be Germans. In general, they were proud to be German. Then, Hitler and the Nazis rose to prominence and the hammer fell upon the Jews and shattered any illusion that they could ever be successfully integrated into Germany society or any European society for that matter. So cut the intellectual gibberish!! Those early 20th century Zionists came up with a viable solution to their seemingly intractable situation. They emigrated from Europe and purchased land in their historic homeland and made it flourish. And then, they had to fight to keep it, like people have had to do from time immemorial. And if they have had to build a wall or a fence to keep murderous, brainwashed thugs from entering their country and blowing their citizens into bloody pieces of meat, so be it. It is the first obligation of a nation-state to protect its citizenry. As someone once said, "Good fences make good neighbors." And one more thing; Israel has a very large Arab minority. Most of them live better than they would in the Islamic hell holes that make up most Arab countries and the world of Islam in general. Certainly, Arab women in Israel have it better than women in Islamic countries. On the other hand, what has happened to Jewish communities which used to exist in large parts of the Islamic world? They no longer exist since the Jews of those communities were forcibly expelled from them. Only just seen this. I am of course quite happy for my comments to be challenged, and will debate Zionism and Jewish history with anyone – as long as they don't use abusive language. The crude Islamophobia expressed at the end of this post falls outside the bounds of decency. It is a criminal piece of hate speech. Why has Robert Cohen approved it for posting on his blog? Will he now remove it? Hi Kenny, I'm not endorsing Donald's views by publishing his comment. I agree they are offensive. Thank you for taking the trouble to call him out. I hope others do too. I'm not going to delete Donald's comment. I have come across this discussion after watching the film "Hannah Arendt", then watching Simon Schama's series, "The [use of definite article noted!] story of the Jews" in which he said he was unapologetic about being a Zionist. I haven't yet found what Schama thinks of Hannah Arendt's analysis of the Jewish leaders' cooperation with the Nazi authorities but we're only up to Episode 3 of "the" story here in Australia. He is a Zionist, so I guess he will gloss over it. Thanks all for an interesting discussion. Many non-Jews reading these will be impressed by the apparent capacity of the Jews for debate, even when under fire. One thing is for certain though, we deserve our day in the sun just like any other "group" of people and we should not ever have to apologise for seeking, nay, demanding it. I grew up in South Africa where I never encountered anti-semitism perhaps because the local bigots had their hands full with other matters. Since moving to the UK I've come to be aware of the resilience and the irrationality of European anti-semitism. That's puzzled me, because from my experience what you get with the Jews is a good, warm conversation and a generous well-stocked fridge, perhaps, I grant you, to some people's taste, a little under-provided with alcohol. What I'm getting at is the more I read about the forces upon European Jewry in the late 19th cent, firstly with the accumulation of centuries of Christian prejudice, adding in the then respectable eugenics of the time, not to mention the waves of pogroms in Russia, it was inevitable that migrations to the Ottoman Levant would occur. The forces of history here are beyond much of our control. Herzl wrote of the anti-s. forces gathering in Europe: "I cannot imagine what appearance and form this will take. Will it be expropriation by some revolutionary force from below? Will it be proscription by some reactionary force from above? Will they banish us? Will they kill us? I expect all these forms and others", and: “It will overtake even Hungarian Jews with brutality, and the longer it takes to come, the worse it will be. The stronger they [the Jews] become, the more bestial will it be. There is no escaping it.” Herzl is correctly predicting mass murder. If from his vantage point, 40 years before the rise of Hitler, he was right in his predictions, I feel that today we are too hard on ourselves. One feels for the desperation of the Palestinians and for opportunities lost. They did not ask for waves of Jews to arrive from left and right but come they did carried by the tides of history. Resolution here is a problem for the world community which made an attempt in 1947 by partitioning Mandate land. One hopes that peace can be achieved. I think we take Israel's existence for granted, but if one tries to take a dispassionate view of Israel, is it not, for all its faults, a remarkable achievement? Established under international law a home for a people half of whose number had been wiped out by an unthinkable industry of mass murder? I feel we perhaps judge ourselves too highly. The other parties involved in the Middle-East conflict have not always distinguished themselves either, and it may just be a "class of civilizations" that will remain so, but one hopes it doesn't. Micah's Paradigm Shift: Israel-Palestine from a UK Jewish perspective. Rescuing the Hebrew covenant one blog post at a time. Enter your email in the bar above to get updates sent to your inbox. When will there be a Jewish Kairos moment for Palestine? Notes from a road-crossing, border-walking, inter-faithing Jew. See below for some great minds who have influenced my thinking. Copyright Robert A. H. Cohen. Powered by Blogger.